Born into a noble family in Thro Thralung, near Gyangtse, in the province of Tsang, in west-central Tibet, in 1931. His father was an important officer in the Tibetan government. When he was just abe to walk and talk, he led his parents to “his monastery”-- not one of the noticeable temples of Gyangtse but a small hermitage behind a hill. Here without being asked he identified his possessions from his previous life as a Buddhist master and physician. He was first educated at home, but at the age of sixteen he was sent to Lhasa to study medicine under the great physician Nyerongsha Rigzin Lhundrub Paljor. This latter was a successor to the lineage of the Chagpori monastic school of medicine and a widely famed physician. He had at that time his own clinic, medicine production facility and apprenticeship programme. Ven.Dr.Trogawa Rinpoche studied with him for nine years, and became accomplished in all aspects of Tibetan Medicine. He is one of his master's principle successors. As an incarnate lama, he also studied and practiced the Buddhist path in depth during this time, including its most essoteric practices, and so became famed as both a spiritual master and as a physician. For some time he practiced medicine in the town of Drigung, but in 1957 he moved to Sikkim (then an Indian protectorate) in the company of the great Buddhist Master, Dzongsar Khyentse Chokyi Lodro. After his master's passing in 1961 he moved to Darjeeling, in the foothills of the eastern Himalayas, where he lives and practices today. After the fall of Tibet, he was one of the last masters free to teach and practice Tibetan Medicine. In 1963 he was appointed chief medical teacher at the Tibetan School of Medicine and Astrology, in Dharamsala, India, the institute directed by H.H.Dalai Lama. After some years at this school he left for health reasons, and then spent a number of years in retreat in the forests of Bhutan, peeriodically emerging to treat patients. He returned to Darjeeling in the 70's, where he still lives and practices. Since 1983 he has also taught at various conferences in the west. In 1994 he founded the Chagpori Institute of Tibetan Medicine. He still directs this school and is the consulting physician for all its clinics. Ven.Dr.Trogawa Rinpoche is today considerred one of the pre-eminent masters of Tibetan Medicine. He is the chief teacher of Shakya Dorje and granted him his qualification as an Emchi (physician of Tibetan Medicine). Born in Lhasa, the youngest child of Nyerongsha Rigzin Lhundrub Paljor. Raised to be a physician, he showed exceptional talent from an early age, and was a qualified physician in his teens. 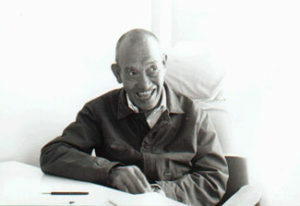 Aside from his clinical responsibilities in Lhasa, he also directed medicine production for his father. He was a man of unparalleled perspicacity in diagnosis, and understood the deepest aspects of pharmacopoea, diagnosis and treatment. In the early 80's he fled the Chinese communist regime and joined H.H.Dalai Lama's institute in Dharamsala. For a number of years he directed the large clinic in New Delhi. At the end of his life he was appointed junior physician to H.H.Dalai Lama. Shakya Dorje studied with him during the time the worked in the New Delhi clinic. He taught him deeper aspects of diagnosis, treatment and compounding, and gave many key instructions. Born in Bodong, in west Tibet, he was sent to study at the Mentseekhang in Lhasa by his local monastery. There he excelled in both treatment and pharmacopoea, so that he was kept by Mentseekhang on staff after graduation. He was frequently sent to various parts of Tibet to treat epidemics, and also was in charge of medicine production for some years.He was also part of the group of physicians who cared for H.H.Dalai Lama, his court and his family. In 1959 he signed a petition protesting abuses by the Chinese army then in Lhasa, and as a result was condemned to twenty years hard labour in prison by the Chinese authorities. Near the end of his term, there was a revival of interest in Tibetan Medicine under the Chinese regime, and he was taken to revive the production of the famous and essoteric'jewel pills' along with the master Troru Tsenam. Released in 1979, he was brought by the exile government to Dharamsala in India to be the personal physician of H.H.Dalai Lama. For the rest of his life he cared for His Holiness and treated vast numbers of patients both east and west, and participated in numerous conferences in Europe and North America. 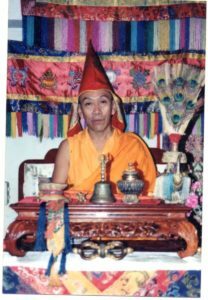 He founded the jewel pill production of the Mentseekhang in Dharamsala and supervised it, and also conducted valuable research leading to new remedies based in classical principles. He is featured in the feature length documentary on Tibetan Medicine, ‘The Knowledge of Healing'. Shakya Dorje studied with Lamen Tenzin Chodak chiefly during his sojourns in France. Lamen Tenzin Chodak was very kind to him, teaching him much about the particulars of certain illnesses and their treatment.